If you loved to travel and did a lot of this as a single person or young couple it’s easy to assume that having a family will end this, or at least change your travel plans for quite a while. When you backpack around the world as a young singleton, staying in hostels and taking short-term backpacker jobs, you may not be aware of many families with young children on the road. Does that mean they’re all staying home, or going to all-inclusive family-friendly resorts where opportunities for ‘real’ travel is limited? Not necessarily. 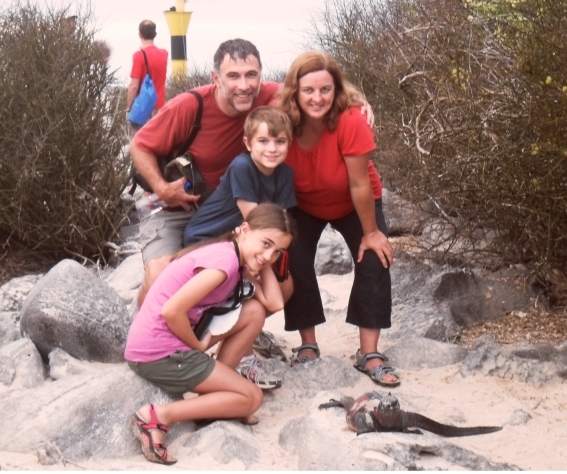 There are plenty of families traveling the world with young children, and many of them actually find that having the kids in tow actually enriches their travel experience. Here are some of the reasons why traveling with your kids can actually exceed some of your pre-parenthood travels. Anyone who has indulged in long-term budget travel will probably have already discovered that hitting the road for a year and acquiring experiences is actually often cheaper than staying home and acquiring stuff. Having kids invariably leads to an even higher level of consumerism. On the road with kids, you cut down on the expenses of new clothes and toys (not to mention expensive childcare and extra-curricular activities) and replace them with priceless new, shared experiences which are often free or very cheap. Many people are put off travel with a family, thinking that a family of four will spend four times as much as an individual traveller. That’s not usually the case. Babies and young children can fly almost free on most airlines if your child is young enough to share your seat (usually under two years old). If your kids are over two you will have to pay for flights(75% for international fares) but once on the road family travel can be pretty good value. In fact, sometimes four (or more) can travel almost as cheaply as a couple. Apartments, cabins or campsites often costs the same regardless of how many people there are in it, and certainly, wilderness camping (often free or by donation in government maintained wilderness areas) is the same. If you’re renting a car you’ll pay the same and use the same fuel if you have a couple of kids in the back, and kids stay free at many hotels and even eat free with a paying adult at some restaurants. You’ll need to do some research to find good deals, but travel costs don’t necessarily increase in direct proportion to the number of travellers. Younger kids just can’t tolerate long days of car travel and if you can survive two toddlers whining in the backseat for 10+ hours then you deserve a medal! I love road trips, especially in a foreign country, but I know that in the past I’ve probably missed out on things along the way. It’s harder to miss these when you travel with kids as they need to stop, stretch their legs, go to the toilet and let off steam at regular intervals so you can schedule stops at sites along the way to coincide with these breaks. You’re less likely to push on to the next town when the kids are tired and hungry and will, therefore, see places you’d never have stopped at under other circumstances. You may cover less ground in any given time travelling with kids, but you’ll see more of what there is to see, just because you’ll be forced to take it a little slower and stop more frequently. The results are often a more interesting and in-depth travel experience. In many cultures, kids are welcomed, adored and made a fuss off constantly (to almost annoying levels in some cases!). Locals immediately engage with the younger children in many countries which breaks the ice and often provides additional levels of service or bonus treats of special foods in restaurants, small gifts or even meeting more of the family. Young children can break through cultural and language barriers with enviable ease. If there are other kids within playing distance, a game will soon ensue, and if language differences make it difficult to communicate about the rules, then… Well, who needs rules? Playing the game is often a goal in itself. Kids can break the ice with strangers by exclaiming over a pet, asking impertinent questions (which only sound cute coming from someone so small), or asking to join in a game. None of these are as easy to carry off as an adult travelling alone. Kids tend to comment on sounds, smells, tastes and textures that are strange to them. The things you might take for granted and not even note in your travel journal, which is a shame because that kind of detail makes for great memories of your travels at a later date, not to mention wonderfully descriptive writing if you plan to try your hand at travel writing. Travelling with kids means you get involved in activities you might have missed out on. Would you have taken that miniature train ride, visited that wildlife centre or talked to that street performer if your kids hadn’t insisted on it. Perhaps not, and often your travel experience is richer for having done these things. Travel is an education. A completely different, more challenging and more pleasurable education than your kids will ever get in a classroom. You’ll get to see your kids; learning a foreign language, navigating their way through transport hubs, hiking through wilderness areas without impacting the natural environment, reading maps and understanding and appreciating the differences between home. You’ll see them gaining knowledge and understanding of other cultures, and witness the sense of connection they feel as world geography and history starts to make sense to them, based on their own experiences and observations. In a world where many families don’t even have time to eat a meal together on a regular basis, imagine being together 24/7 for a few weeks, months or even years travelling, eating, sleeping, learning and exploring together! Imagine having the opportunity of building these great shared experience and memories to draw on as your kids grow up and away – truly priceless! Travelling together gives family members one of the few things money can’t buy – the time and opportunity to spend quality time together away from everyday life pressures and grow closer as a family. Isn’t this what we are all striving for? For all your family travel enquiries Contact Us.